"Dr. Mustafa... is very compassionate and always takes the time to listen." "Great doctor who actually talks to you and doesn't waste you time." "I like Dr. Stephen Fishel's down-to-earth attitude...he is extremely knowledgeable." "She's a wonderful doctor and a very caring person." If you are a medical patient, please call 518-899-9090. At Saratoga Family Medicine, men and women from in and around Ballston Spa, New York, have access to comprehensive care for the entire family. Since 2003, the team of doctors and nurse practitioners has devoted themselves to providing full-service family medical care to patients of all ages. Dedicated to helping you feel your best inside and out, Saratoga Family Medicine offers the additional benefit services, including Botox, facials and skin revitalization, tattoo and hair removal, and body contouring. The highly-skilled estheticians and nurses provide individualized treatments to address issues that keep you from feeling good about your appearance. Using the latest minimally invasive techniques and devices, the team helps patients improve the appearance of their skin, lessen the sign of aging such as wrinkles and brown spots, and say goodbye to stubborn body fat. 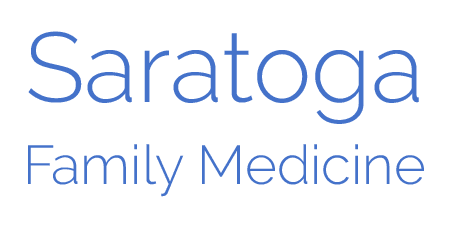 The team at Saratoga Family Medicine aims to develop lasting bonds and goes to great lengths to ensure that you and your family receive care that meets and exceeds the highest possible standards. We are now offering these products! Eminence, Lilikoi Mineral Primer, Sunscreen and Body Sunscreen. "Dr. Fishel is the best family doctor! He practically saved my life. He listens to you and takes care of you. The nurses are great and the office staff are great." "I am new to the area and needed to find a family physician. The staff was courteous and helpful. Dr.Fishel seemed wise, experienced and intelligent." "I have been a patient of Dr. Mustafa for a few years now. I would, without a doubt, recommend her to anyone in need of a doctor." "I have recently changed doctors and am very pleased with Dr. Mustafa. She has a great bedside manner and knows her stuff!!"